Life is all about challenges, we are always bound to meet challenges when we try to achieve a goal. This is especially true when it comes to losing weight, because weight loss is not easy. Challenges like finding out time to workout, sticking to a diet, or even procrastination can prove to be real stumbling blocks. But if were are to achieve any goal, we need to face and overcome challenges. One of the greatest assets in surmounting challenges is by having motivation. Motivation is what helps you endure through challenges and reach your goals, and the same goes for losing weight. How can you motivate yourself to lose weight? 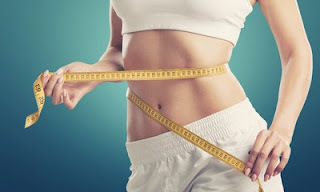 In this article, I’ll comprehensively explain to you how to motivate yourself to lose weight. You will see the effective ways you can motivate yourself mentally and physically so that you successfully achieve your goal of losing weight. I’ve always loved writing, it is a great to express yourself, and also and excellent why to motivate yourself. Writing down your plans is a good headstart to pushing yourself to lose weight. It brings out what you have in your head and is similar to talking to yourself, but the main difference is that you get to see what you have said it all the time. What should you write? First get a book, then write what you want to do (lose weight). Then write down why you want to lose weight? It may be to look better, to be healthier? 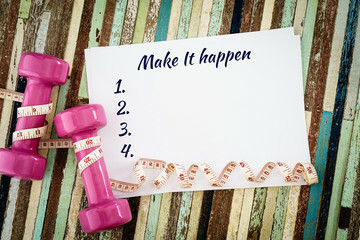 Next, write down how you plan to lose weight, obstacles you might encounter and how you want to overcome and also set a time frame you want to beat. Writing all this down is important, you can go back and reflect on it anytime. But this is just the beginning, you are just getting started. The next way is by thoroughly examining yourself and your circumstances. What are your weaknesses? What are you prone to doing that will disrupt your plan to lose weight? Answer these questions and find ways to address any issue. For example, Mila, 20, who weighs 87 kg says: I’ve always wanted to lose weight but I discovered that I spent a lot of time on my phone, this deprived of time I planned to use and workout. By understanding ourselves better, we make ourselves much better. Next, it so examine your circumstances. Do I have kids that need my time? Do I have a full time job that eats my time? After asking yourself such questions you find out ways to manipulate your way even in difficult circumstances. No matter, how complicated your situation might seem, you can still lose weight even if you work crazy hours. Mila, mentioned above, later examined herself and said this: I decided to use my circumstances to my advantages. Anytime I felt like my using my phone needlessly, I exercised instead, hence I redirected cravings for my phone to time for exercising. If there is one very efficient way of motivating yourself to do something, it is telling people you what you want to do. This can be applied to losing weight. I won’t advise you to tell everyone on social media (although, you can if you know you will be comfortable with it). So who can you tell? and what should you tell them? Tell loved ones, parents, spouses, relatives and siblings. Tell them what you want to achieve and that you’re sure you can do it. They’ll be people who will encourage you, listen to them and further motivate yourself. READ: Effective Weight Loss Tips for Women to Burn Fat! The mind is a very powerful tool, and I’d be at fault if I don’t tell you to use it to motivate yourself to lose weight. The mind is powerful in that, it allows you to create mental images of yourself and the only limit is your imagination. Once you have used your imagination to see yourself achieve your weight loss goals, believe me, you are not far off from actually achieving it, what is left is just the action. This should be done regularly, when you feel discouraged or less motivated. Making the equipments you use for working out around you and easily accessible will help you overcome the challenge of unwillingness to workout. How does this happen? First you see them all the time, and this will remind you to workout if haven’t done it. Look at the example of Georgina, she says: I kept my treadmill in my living room, where I always frequent everyday. Any day, that I didn’t workout looking at it made me feel guilty and that made me use it. Even when I am bored, I just hop on my treadmill and start working out because it is always right in front me almost all the time. You see, it worked for her and will for you. You could alternatively write mantras on large papers and paste it around you. We are much more likely to end up discouraged, when we don’t meet our expectations. For instance, if you plan to lose 20 pounds in two weeks and you don’t meet it, you’d feel like giving up. That’s why you need to make your expectations realistic and achievable. No matter how little a progress is, it is still a progress. What about if you don’t meet your expectations, even after setting a small one. Don’t be discouraged! and don’t give up! View it as a challenge and surmount it. Another really amazing way to motivate yourself to workout is by keeping a weight loss journal. Writing down your activities, progress and setbacks will definitely give you the need motivation you need to lose weight fast. Anytime, you feel to lazy to workout remembering that you won’t have anything to write in your journal should spur you to workout. Furthermore, writing foods and their calories you plan to diet with, will also help you maintain an organized weight loss plan. Two heads are better than one right, why don’t you use this ideology to better your chances of losing weight. I’ve regularly mentioned about the benefits of having a fitness partner. Well if you really want to lose weight this is a great way to do so. A fitness partner can push you, support you and inadvertently help you to lose weight. A weight loss partner can also provide healthy competition that can further motivate you to lose weight. 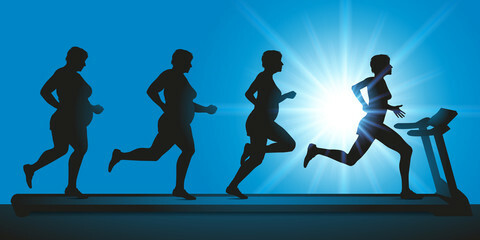 You can go through my article on the benefits of having a workout partner, for more information. The bottom line is that you need motivation to achieve your weight loss goal. I’m now sure you know how to motivate yourself to lose weight. And if you follow the ways to motivate yourself to workout, that I listed above, I can assure you that you must succeed. Remember, if you are persistent, YOU WILL GET IT, if you are consistent, YOU WILL KEEP IT! If you like what you’ve just read, please follow us on Twitter and Facebook. Better still SIGN UP to receive our posts to your email. Do you want to share and read information on various health and fitness issues join our Facebook group “The Interactive Health Board” Now! I really love these tips. I was a weight loss counselor for a time and these are very similar points to the ones I expressed to those clients. Accountability and realistic expectations are so critical. Well done! Thanks so much, I'm really glad you liked it. These are great tips and just what I needed to hear. I struggle with motivation all the time. Oh this is very timely! I just gave birth 6 weeks ago and i cant wait to finally loose weight and get back into shape. These are helpful tips! Thank you! I've been on this weight loss journey also, trying to figure out motivation. I have found that have a weight loss partner and setting realistic expectations has really helped me. Thanks for the advice and encouragement to keep going. i love the inspiration here – we can all do more to live a healthier and fitter life! I know whenever I want to set out to achieve goals, I have to write it out. It helps me to make a plan and concrete some things. These are all really great tips! I especially agree with keeping your goal at a realistic expectation and finding a buddy to diet and/or workout with! I've heard a lot of great weight loss journeys where having a buddy to help them through cravings or wanting to give up is what really helped push them through to achieve their goal!